Finally, a utility token that is accessible to everyone. Lehi, UT—Symatri, LLC., launches Kala – a new ERC20 utility token with wide accessibility, easy adoption, and inherent value. As cryptocurrency gains attention in mainstream circles, the creators of Kala envision making it even more accessible—and understandable. It’s their formula to encourage more widespread acceptance and use. To start, Kala simplifies the way that people can earn the token. Anyone with internet access can earn Kala with Symatri’s unique way of “mining” through Proof of Effort, rather than Proof of Work or Proof of Stake. The process is simple—people earn points by completing activities like taking surveys, testing products, downloading apps, etc. through Symatri’s CORE platform, then transfer those points into Kala. There’s no roomful of servers, no expensive buy-in to mining pools. It doesn’t take special knowledge or equipment. In fact, anyone with a computer or smartphone can participate. 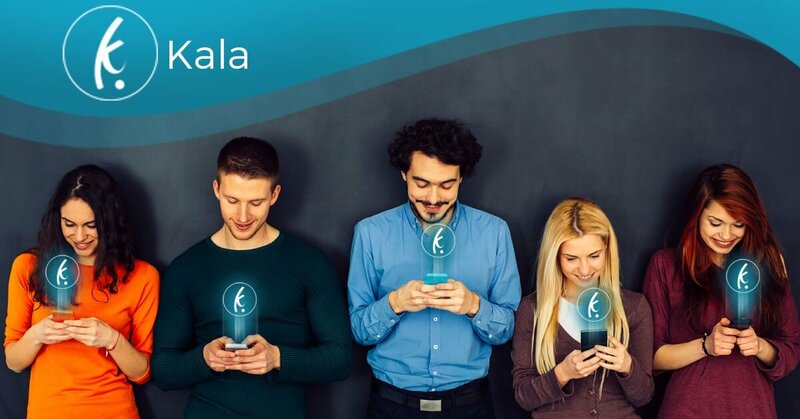 Next, unlike many cryptocurrencies which are created for technology or projects that are still being developed, Kala will integrate within an already existing ecosystem with more than 300,000 members in over 140 countries. Symatri’s CORE platform and marketplace are being used, tested, and improved before integrating Kala. In fact, people can already participate before the first Kala Token is even issued. Finally, what makes any medium of exchange valuable is whether or not owners can use it to for real world transactions. Kala will have value from the onset, because shortly after issuance Kala users will be able to purchase discounted products, services, and gift cards through Symatri’s online marketplace. Symatri chose to build Kala on the ERC20 specifications of the Ethereum blockchain. This allows Kala to take full advantage of the benefits of the Ethereum network, and will make it easier to add to exchanges. Kala will be launched through an ITO, which begins with pre-sales on Nov. 27. Public sales will open Dec. 1. After the close of the ITO’, the sold tokens will be issued. Those who participate in the ITO will be ready to use Kala as soon as it’s fully integrated into the Symatri Ecosystem. Kala will be fungible, transferable, and expected to trade on exchanges. In addition to using Kala to purchase items online at Symatri’s marketplace, Kala owners can take advantage of the fluctuations in value that is a fundamental characteristic of all cryptocurrencies. About Symatri, Inc.: Symatri connects the multi-billion-dollar Mobile Apps, Products, and Service Industry with individuals participating in social media around the world, in a simple and mutually beneficial ecosystem. Under a different name, Symatri developed a platform that can be white-labeled, and launched it within one niche demographic with tremendous results. That one simple concept has now blossomed into a worldwide movement, with more than 300,000 Members in over 140 countries. With the launch of Kala, Symatri will expand into multiple channels to provide opportunity to participate around the world.